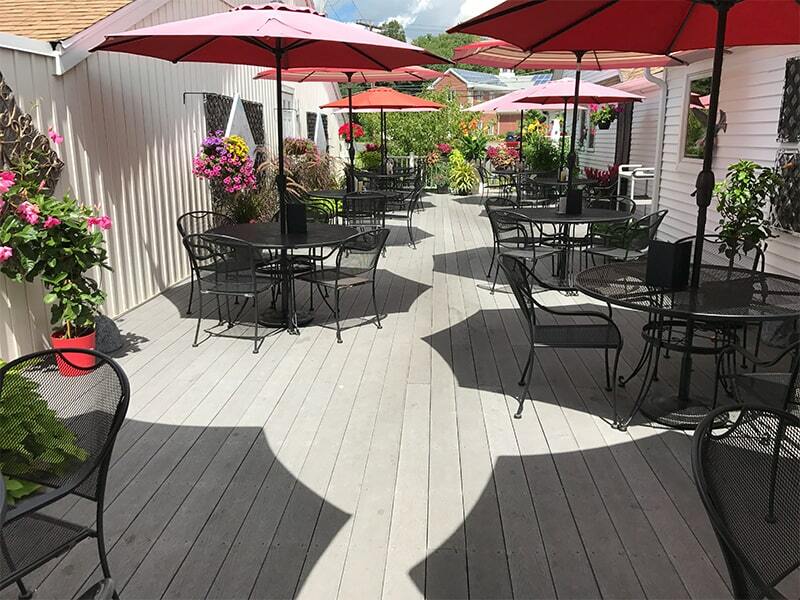 Our patio area is the best place to eat on a beautiful day. 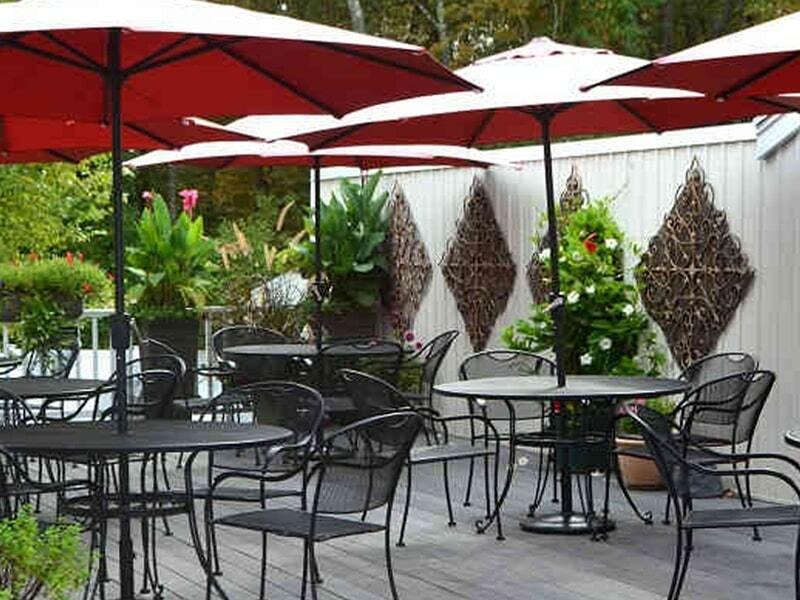 It’s the perfect mix of sunshine and shade to dine comfortably and our service is impeccable. 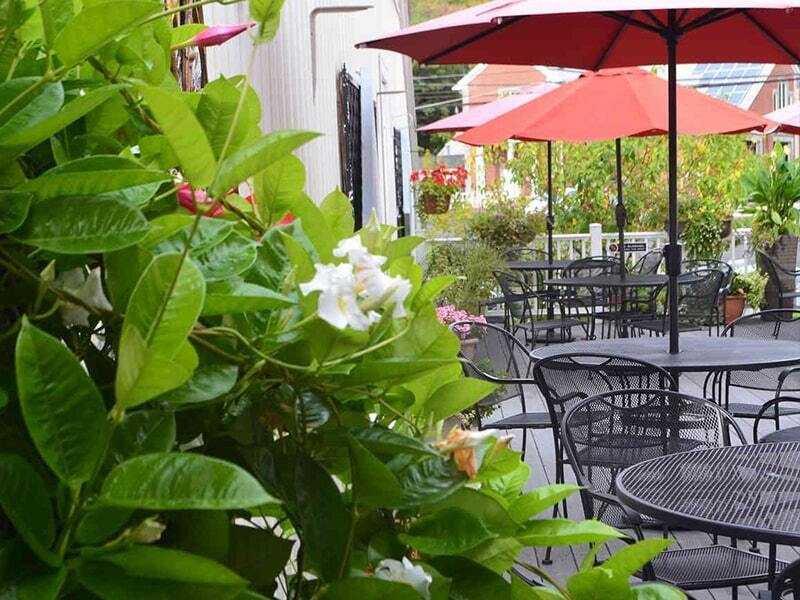 From the elegant art to the beautiful flowers, the atmosphere is exceptional.